My feelings lately have gone from super excited about my upcoming novel and short story contest to depressed and not sure what I’m doing with my life. Seriously, I feel like staring blankly at nothing until something inside me sparks and tells me what I’m suppose to be doing. I feel lost in translation. My love for some of the things in my life is definitely not going right at the moment. It’s more so, taking a few side roads and a couple high mountains. I’m sure things will work themselves out, as they so often do. But for now I simply feel lost and when you feel lost, your writing is lost without you. As writers we pour our hearts and souls into the words we ink on the blank pages in front of us, But when our minds are cluttered how can we expect the heart and soul to find its way out? 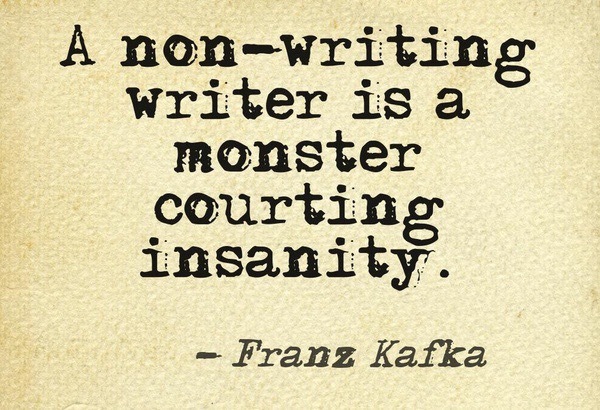 Therefore, my writing is going no where! Seriously, I need to find a new outlet for clearing my mind. My fitness and reading habits are just not cutting it lately. I wish I could finish this ramble with some epic yoga pose, mantra or check list that helped me and could help my fellow writers with the same issues. But I’m still figuring it out and being honest the whole way through. I’ve felt this way so often. Usually, I list things. I list everything that’s going on. it feels good to get it out on paper. And then, I give myself permission to write really badly. Like, really badly. because even when I’m sad, i know the best thing for me to do is to just keep writing. Even if it’s awful. Previous Previous post: The next Novel and NaNoWriMo!